There are lots of shops selling Portuguese Egg Tarts in Macau – from well-known pastry chains e.g. Ko Kei to even supermarkets. While these egg tarts are good as a snack, to try the best Portuguese egg tarts, you have only 2 places to go and there are located quite a distance from each other – at the Southern tip of Macau at the Coloane Island, you will find the world-renowned egg tarts produced by Lord Stow’s Bakery and at the Macau Peninsula, around the corner of a small alley, you will find the egg tarts from Margaret’s cafe. The owners of these 2 bakeries share an interesting history – they used to be married! There are many types of egg tarts around the world but what differentiates the Portuguese egg tarts from the rest is that Portuguese egg tarts were evolved from “pastel de nata”, a traditional Portuguese custard pastry that consists of custard in a crème brûlée-like consistency caramelized fashion in a puff pastry case. Instead of the deep aroma of egg yolk and milk you would expect from typical egg tarts, for good Portuguese egg tarts, you should taste the slightly burnt sweet taste of caramel and custard – a very hard to put in words taste experience – you just have to try it to know it and 2 of the best places to try it would have to be at Macau’s Lord Stow’s and Margaret’s. 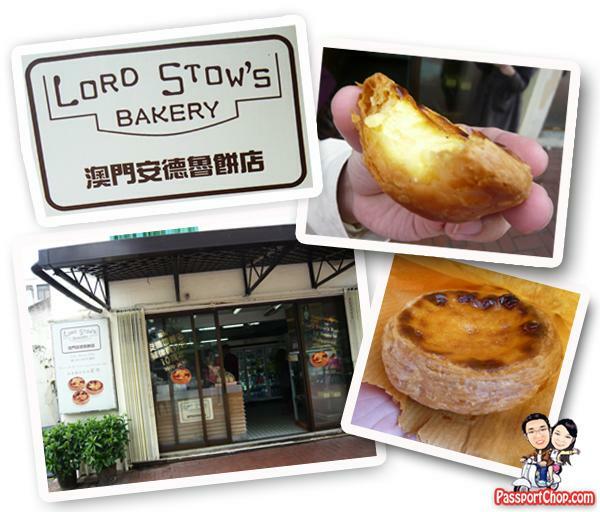 Lord Stow’s Bakery (安德魯葡塔) is located on Coloane Island, 1 Rua do Tassara about 20 minutes bus ride from Macau Peninsula (6-7 MOP). Besides having takeaway egg tarts, you can enjoy other pastries in the comfort of the air-conditioned cafe just a few metres behind the bakery. Just 5 minutes walk from the bakery along the coast, you will also find the Church of St Xavier – a small beautiful church where a number of films were made in this romantic small corner. The egg tart at Lord’s Stow Bakery cost 7 MOP each. This bakery was opened by Andrew Stow with his wife, Margaret Wong in 1989 and since then, it had became the symbol of Macau and there are even franchises as far as Philippines and Japan. 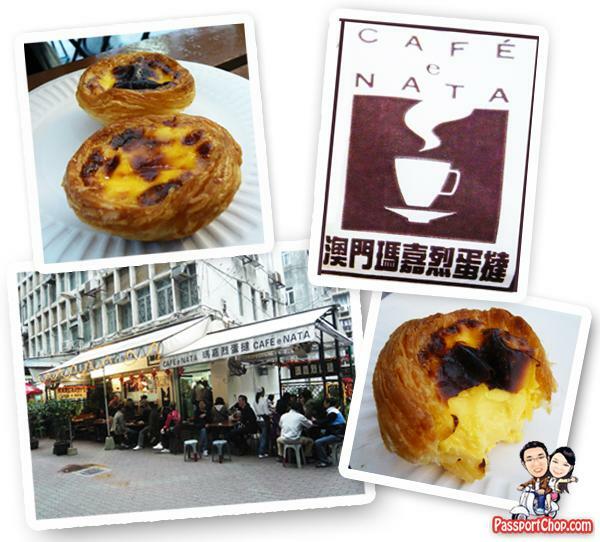 Since their divorce, Margaret went on to setup her own Portuguese egg tart shop in the Macau Peninsula – Margaret’s Cafe e Nata near Gum Loi Building. Compared to Lord Stow’s, her egg tarts were less sweet and the caramelised taste is not as strong (but definitely many times better than other non-Lord Stow’s egg tarts) – I would say it tasted less sinful. For this and many reasons, pseudo-egg tart connoisseurs like myself will have different rankings of these 2 Portuguese egg tart shop. You just have to taste it to tell the difference and determine which one is better but a visit to either shop in Macau for their egg tarts is a must-try experience. Egg tarts at Margaret’s Cafe e Nata (马嘉烈葡挞店) cost 7 MOP each. Like what the Wikitravel entry on Macau says – Finding the cafe is half the fun: from Av. do Infante D. Henrique, turn north onto Av. de Joao IV and look for the small sign pointing the way to your left into a dingy-looking alley. Another simpler way to find the cafe is to look at Hotel Sintra and around the way, ask shop-owners in the area for directions. Back to Singapore, you can also satisfy your cravings for Portuguese egg tarts at KFC! For S$1.30 and cheaper (if you buy in a box of 6), you will get to try Portuguese egg tarts which tasted similar as egg tarts offered by pastry chains in Macau but definitely not the Lord Stow’s and Margaret Cafe e Nata’s standard. Just comparing the color of the KFC egg tarts versus Lord Stow’s and Margaret’s, the difference is quite telling – the KFC’s version is a milder version and the caramel flavor is less obvious. Wow you all very ka po, now they are ex-couple. When i was there last year, i manage to try to Margaret one only. It was very good already. 🙂 Never try the Lord Stow one. 🙁 I was thinking to fanchise their business too but dont have chance to talk to them. 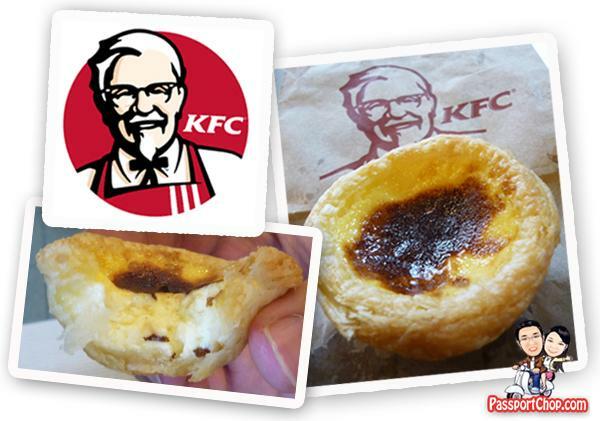 KFC Portuguese egg custard tarts… not loving the idea! I much prefer the ones my mother makes! yup KFC do have! but can’t beat Lord Stow’s – have you tried Margaret’s? I guess the price different due to high quality ingredient they used, it worth the money. I have recently eaten ‘pastel de nata’ at Belem and they were quite different to usual Portuguese ‘pastel de nata’. However, I would very much like to compare them to Margeret’s custard tarts?